The Ada County Sheriff’s Office is still investigating what caused a 19-year-old woman to lose control of her car and crash into a motorcycle on Friday, May 13th. The impact resulted in the death of a 46-year-old man who was on the motorcycle, and now deputies believe that a driver of a white van may have played a role in causing the fatal crash. According to witness reports, a woman driving a Saturn coupe on Idaho 21 near E. Grand Forest Drive was passed by a white passenger van on a double yellow lined road. The van could be a Ford XLT or a similar style vehicle. The driver of the van slammed on their brakes in front of the Saturn coupe causing the driver of the Saturn to hit her brakes and lose control of her vehicle. The Saturn swerved into the oncoming lanes of Idaho 21 where it collided with a motorcycle. The force of the crash caused the car to roll onto its side, and Boise Fire crews had to cut part of the roof off the car to get the driver and passenger out. The driver and passenger in the car were treated at a local hospital for what appear to be non life-threatening injuries. Deputies say that the van continued without stopping. Deputies interviewed several people but have not yet been able to identify or talk to the driver of the white van. 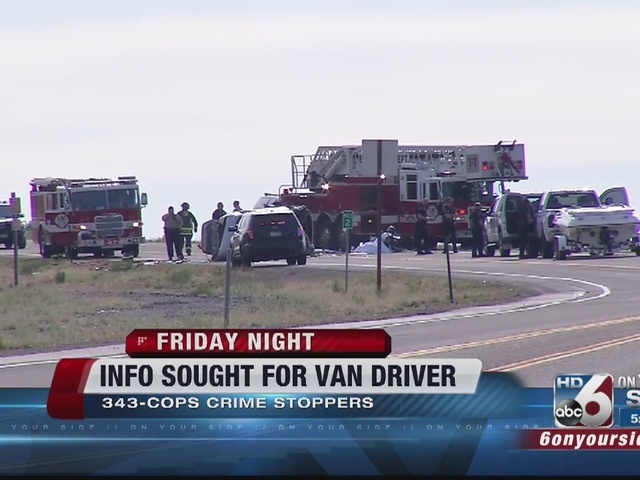 The Ada County Sheriff's Office is asking anyone with information on the driver of the van or the crash itself to call investigators at 577-3723 or email cau@adaweb.net.